Tom Hardy has been making quality movies and TV shows for over 17 years now, starting with Black Hawk Down and Band of Brothers. However, the actor has been doing projects nearly every year for that entire time, and he admits that it might be time for a well-deserved break. Hardy currently has Sony's Venom in the pipeline along with the Al Capone film Fonzo and he is attached to star in a movie about the iconic war photographer Don McCullin, but that might be it for a while. Tom Hardy never believed that he'd have the career that he has today. Hardy has been nominated for several awards over the years including an Academy Award and has won many Critic's Choice awards. The 40-year old British actor sat down for a new interview where he indicated that's he's getting a bit tired of the grind and could use a break. The actor likened his successful career to scaling Mount Everest. He had this to say. "You've summited Everest. It's a miracle that you've made it anywhere near the f*cking mountain, let alone climbed it. Do you want to go all the way back and do it again? Or do you want to get off the mountain and go f*cking find a beach?" Additionally, Tom Hardy questioned his motivation to keep on acting at this point in his life. After admitting that he's gone well above anything he ever thought was possible in his life, where does he go from here? The actor does not know the answer, but he did reveal that it could be time to figure something else out for the future. He explains. "What is it that draws you to the craft? At this age, I don't know anymore. I've kind of had enough. If I'm being brutally honest, I want to go on with my life." Tom Hardy just wrapped filming Venom and Fonzo pretty much back-to-back in the United States, and he's finally home in London with his family. In the new interview, the writer states that Hardy is trying to spend as much time with his family as he possibly can while he's home. He'll have to come back to North America and beyond to start the promotional campaign for Venom soon, which will take him away from his family again. It's entirely possible that Tom Hardy is just enjoying his family time and venting about leaving again, which is understandable. While his job seems glamorous to the outsider, it's a rough profession that keeps him from home away from his young children. There's a lot of perks about said job, but not many people are really happy to go back to work, no matter what their profession is. 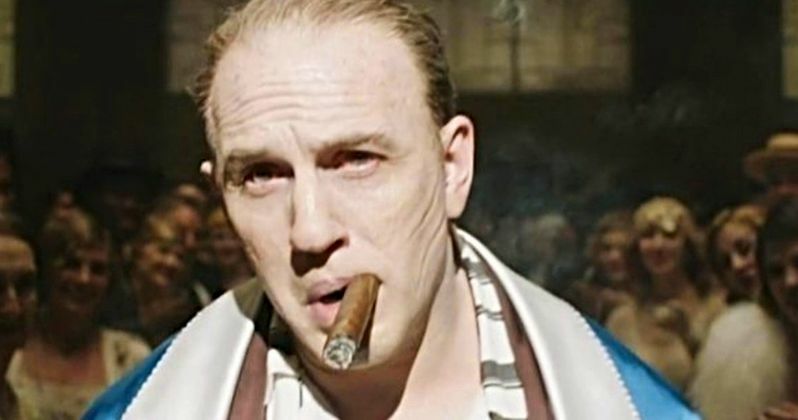 It could be a while before we see any Tom Hardy performances, so make sure to check out Venom, Fonzo, and the untitled Don McCullum biopic when they hit theaters. The interview with Tom Hardy first appeared at Esquire U.K.